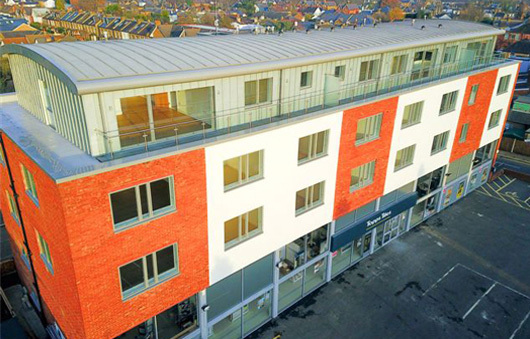 This former office block above a retail unit was transformed into stunning residential flats with top floor views across Surrey and London. The scheme is within walking distance of natural beauty spots Bushy Park, Home Park and historical attraction Hampton Court Palace. 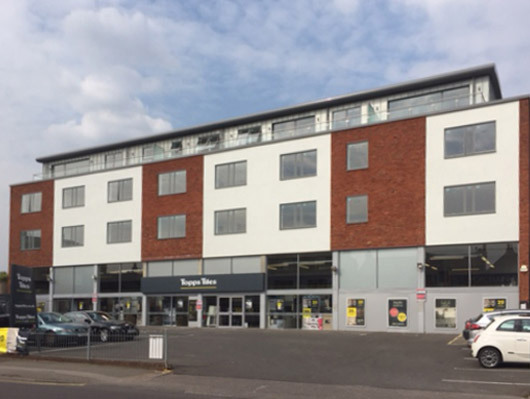 The site was previously a car showroom for Hurst Park Automobiles in the 1970s and 1980s and then a retail unit in East Molesey high street in leafy Surrey. Churchill Hui Architects designed and managed the conversion of first floor office space into 14 no. units plus erection of a brand new roof area (with terrace) for an additional 3 no. flats. The car park to the rear was improved and external parts of 2 no. existing flats to the side were altered to match the look and feel of the converted building. Churchill Hui was appointed by Kinsheron Developments to act as Contract Administrator, Architect and Principal Designer for this scheme. We obtained planning approval for conversion of the office building plus for the addition of one floor, providing overall accommodation of 17 no. units for private rent. One of the main challenges was working on a building whilst the retail unit below was open for business as usual. 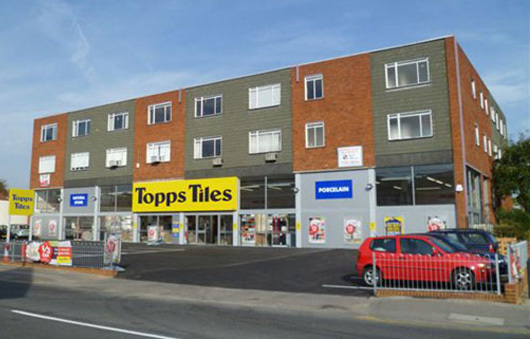 This did present additional health and safety responsibilities, and considerate actions from all parties, but we maintained a great working relationship with the retail staff and owners. As works progressed and the private rental sector market changed, client upgrades were expressed and we negotiated with various suppliers and subcontractors to mitigate impact on overall cost and programme and liaised with the local authority to reduce the CIL contributions the client would have to make. Internally, the units were finished to a high quality and a passenger lift installed. To improve the aesthetic of the exterior, we suggested and oversaw the cladding and window upgrades of 2 no. existing flats to match the new flats and make the entire building uniform and attractive. 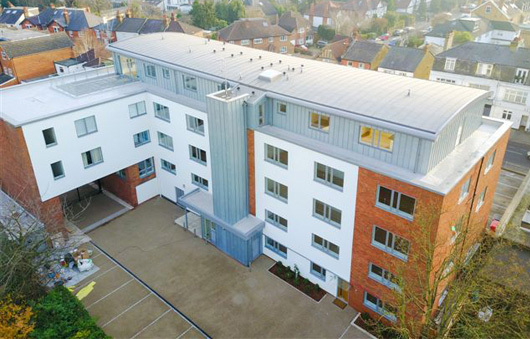 We laid a resin bond surface to the car park, improved the lighting and walkways for public safety, added bin/bike stores and included video entry phones for every flat. 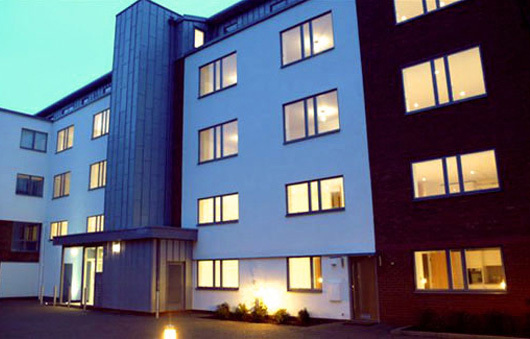 Hurst House (renamed Kinsheron Place) offers quality accommodation in a prestigious area. The homes are spacious, with an open plan living/dining area, en-suite to the master bedroom, and fetch desirable market prices. The three flats on the top floor are marketed as penthouse homes, serviced by a lift and boasting private full-length balconies.